Surprisingly insightful as well as funny! I downloaded this book to serve as a light-hearted diversion while traveling. I got much more. It was very funny, but what pleased me most about the book were the many insightful gems that are embedded in her story. 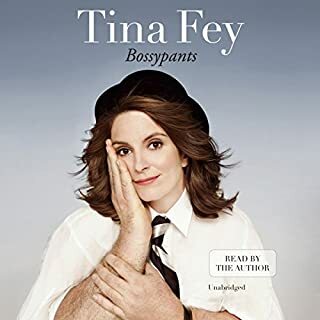 I want my 14 year-old daughter to listen to this book, to laugh at the stories as Tina relates her journey from teenage awkwardness to TV stardom, to hear all the honest self-deprecating comments, and her persistence in the face of struggles. Tina's narration was great and I took a lot more away from the book than a few good laughs. Thanks Tina! This was one of the most entertaining and engaging books I have come across in some time. The central character is an interesa fascinating,irritating, yet lovably hilarious excuse for a grown-up. He was a wonderful mixture of insightfulness and cluelessness. 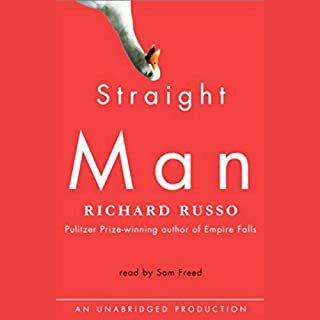 There are some terrific moments along the way that had me falling out of my chair with laughter-- then I'd climb back in to my chair to "re-read" the passage again and enjoy it once more. My wife was so intrigued by how I gleefully devoured this book that she had to read it herself. She loved it too! And so have each of my friends who I have convinced to read it.